We are open Tuesday through Sunday 11am-5pm. Closed Mondays. Coming from NORTH of San Clemente, take the I-5 SOUTH. 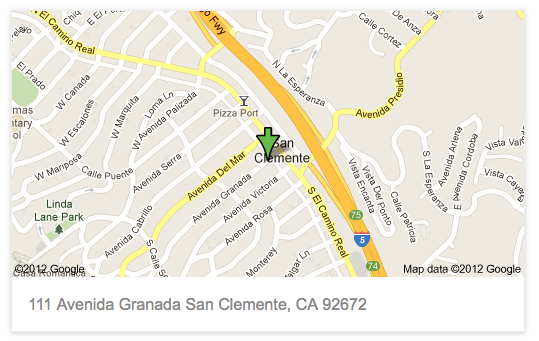 Take exit 75 for AVE PALIZADA toward San Clemente. Turn right at E AVENIDA PALIZADA. Take the 2nd left onto N EL CAMINO REAL. Turn right at AVENIDA GRANADA. Strands Knitting Studio will be on the left.